Taking payday loans have become a latest trend in most of the countries including Canada. Payday loans in Canada are administered by individual provinces, with each province having its own maximum rate of borrowing. People living in different states have to pay the pre-decided rate of interest to the payday lenders if they choose to take loans from them. For instance the maximum rate of borrowing in Ontario is $21 on every $100 borrowed. That means it will sum up to 562% of the initial sum borrowed annually. Bill C28 has been established in Canada that surpasses the Criminal code of the country for the purpose of excusing payday lenders and companies from abiding the law. Any company offering higher rates of maximum cost of borrowing or charging any additional cost or fee to the borrowers is subjected to be penalized. 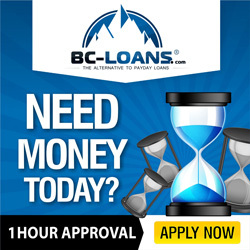 Also provinces like Saskatchewan and British Columbia have created specific laws on payday loans including low rate of interests. With more and more people choosing payday loans in the past has forced the government to conduct surveys to protect the consumers against any conscientious payday lenders. Various surveys conducted by government have enabled it to create certain laws and rights that protect the consumers from paying extra fee than the decided rate of interest. It has helped to make the picture clearer for the consumers and helped them to take their loan advance at a pre determined rate. With increasing number of people preferring payday loans, most of them have realized that it is just a scam to loot them and draw more money as repayment. But people still are using these loans because they find it as easiest and convenient options available when in need of extra cash. The rate of interest charged by other banking institutes is far less than the rate of interest charged by these lenders. Also if you fail to repay your payday loan in time, you end up paying additional late fee and get an extension of time for repayment of loan. If you fail several time or choose to take payday loan from another lender to repay the first one then you may end up in the debt trap, which payday loans are famous for. If you feel your pay check is not going to make up for repaying your payday loan as well as meeting your biweekly expenses then you must think twice before taking payday loans. You will be paying more money while returning the loan and might have to sacrifice few things or living necessities during that week or two. So before you choose to take payday loans you must consider payday alternatives that will save you from falling in the vicious debt circle of payday loans and will save you from paying huge amounts as rate of interest on top of the initial sum borrowed. You can borrow from your friends or relatives for some period of time and most of them will end up giving you money for that small time period without any extra cost. You can ask your boss for an advance or early payment of your pay check by telling him or her about your problem. Ask your colleagues for a little help for few days and assure them to lend a helping hand in future if they face a similar problem. Financial crisis or emergencies can arise in anyone’s life particularly for those people that are living from a paycheck to paycheck. Ensure that you save at least a minimal amount of money in your bank account every month so that you can use it in situations like this. A lot of people feel embarrassed about going to their friends and family members for financial help because they do not want to disclose their financial condition to them. But friends are friends, they are meant to help you and be there with you during such crisis. A friend who is unable to help you in your bad time is actually not a true friend. Thus choosing some payday alternatives before heading to the next storefront to ask for a payday advance is a better option if you don’t want to pay extra amount on top of the money borrowed.